Those subtle and quirky designs with aesthetic colors adorning the interiors of some of India's famous cafes such as Pali Village Cafe in Mumbai or Social in New Delhi sure are a treat to the eyes. What makes them unique is not just their design but their origin. Little is known about this nearly century-old tile manufacturing company based out of Mumbai, Maharashtra. Hand-crafted tiles by family-owned small and medium enterprise Bharat Floorings was setup by a Pherozesha Sidhwa, a Mumbai-based lawyer turned entrepreneur, in 1923. The company counted itself among the first to replace imports and manufacture international quality tiles in India. Dominance led to success; survival however was a challenge. Ten years ago, when Sidhwa's grandson Firdaus Variava took the reins of the business he knew what needed to be changed to jumpstart the business. In a chat with Entrepreneur India Variava spoke of the hits and misses and how he turned around a business which was fast nearing its death. With his new way and broad thinking, the Chairman and Managing Director of Bharat Floorings and Tiles (BFT), Variava introduced a pattern of contemporary designs that were new to the market. "When I joined the business, it was stuck amid multiple problems. BFT was not in the profit-making stage and I had the task to make the business viable. It was then when we hired a turnaround consultant to get on the top of it," Variava said. Hand-made tile manufacturing was never a premium class business and Variava's idea was to rebrand Bharat Flooring into a premium-class cements tile business in India. Freshness to the product was added. 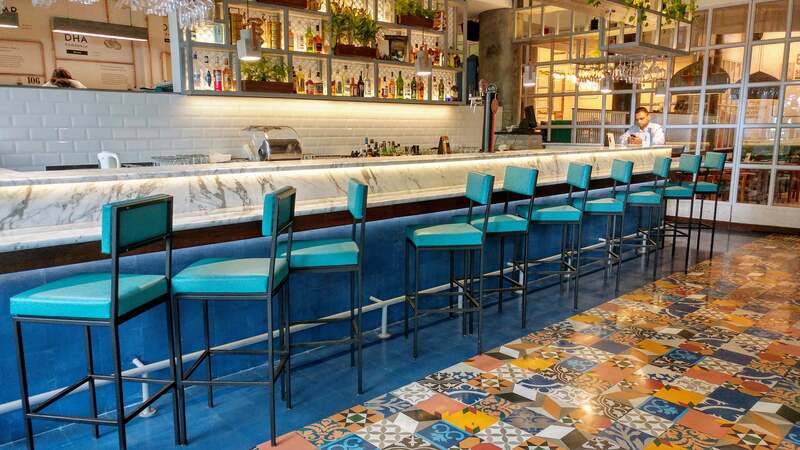 "We hired a lot of architects and interior designers who could bring freshness with a wide variety of designs in hand-made tiles," told Variava. The company then collaborated with the artists such as Aurlie De Cort and Alice Von Baum, as well as interior designers such as Sian Pascale, Ravi Vazirani and Richa Bahl. A successful rebranding lead to the inception of uptrend patterns of designs as opposed to the earlier retro-themed ones. In its initial days of business, BFT started out its production with the best European technologies to create a unique product suited to Indian weather conditions. While continuing a dash of "Swadeshi legacy", which the company categorises as an element of success, ultra-modern tiles are produced by the company. With changing times, the company is tailor-making to address the needs of the consumer. "From palaces of Maharajas and Raj Bhavans to prominent residences, hotels, hospitals, clubs, offices, factories, co-operative housing societies, educational and religious institutions, airports, railways, we reach out to everyone," Variava said. Even if you walk on railway stations including the Chhatrapati Shivaji Terminus in Mumbai or to the residences of ex-royals in Bikaner or Jodhour, Bharat’s tiles are everywhere across the country. Homes of the many big Bollywood celebs like Kangana Ranaut, Soni Razdan, Alia Bhatt, Siddharth Roy Kapur are also designed by this 95 year old tile manufacturing company. BFT believes in making designs supported by architects and interior designers with its aim to establish a healthy relationship with them. "The relationship with our architects and interior designers is for the longer run. They like our brand's story and its heritage," Variava added. With its foot strong again, the company is now aiming to expand in Middle East and Europe. "India will remain our favourite always." Variava said.